Germany’s transition to renewable energy is going very well, with impressive numbers coming in. In the first half of 2012, the share of electricity generated from renewable sources has risen to 25.97%, a pretty big jump compared to the 20.56% during the same period last year, and 18.3% the year before. Some of the bigger jumps were due to the weather, such as hydropower which got a good boost from increased rainfall. Regardless, these sources are getting better and better and if the numbers are any indication, they’re not going to go down. Ten years ago in 2002, Germany’s share of renewable power was only 3.8%, back when it was known as “alternative energy”. Most of these technologies were highly underdeveloped, with wind power taking the lead since it was the most advanced system at that point. A decade later and wind, biomass, and solar energy contribute over 18% of the country’s power. It’s interesting to think of where renewable energy use could be in another 10 or 20 years when looking at the jump from 3.8% to just under 26%. 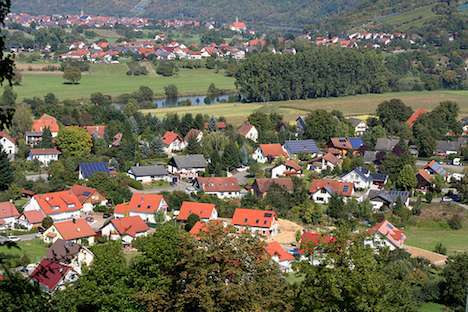 Do you think Germany has the potential to reach 50% clean energy by the next decade, or more?